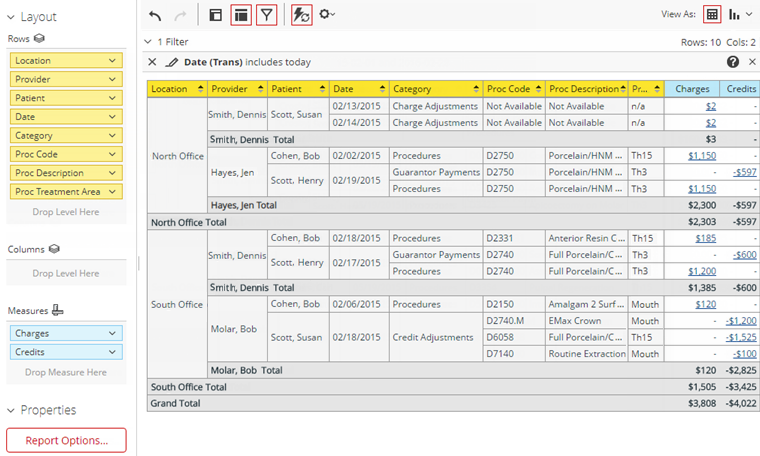 The Transaction Detail Report displays transactions by location, provider, and patient for the current day. The report includes the total charges and credits for each transaction, provider, and location. Also, for most measures on the report, you can view more details. On the Power Reporting page, click (or tap) the Transaction Detail icon.